The Basic Attention Token was created by Brave as a utility token. Brave is a blockchain-based platform that plans to decentralize digital advertising to reduce hidden data costs incurred by advertising, battery loss and lagging processing times on mobile and digital devices. Brave also aims to produce an ecosystem that protects the privacy of its users, while still allowing for advertisers to operate within the framework of a transparent and secure infrastructure. Essentially, the main Brave’s main function is to create a platform that allows for the commodification of the users’ ‘attention’, with advertisers and publishers offering remuneration in exchange for this attention. Brave will create a reward-based exchange system. Rewards to users are made with Basic Attention Tokens (BAT) for engaging with content. This also allows advertisers to benefit from their ads being focused only towards relevant users, which will also decrease costs and fraud. Publishers will also benefit by receiving higher volumes of revenue, and more accurate data reports. Phase 1 – Launch Brave as a secure, decentralized browser with built-in advertising and tracker blockers. Phase 2 – Introduction of the Basic Attention Token as a form of remuneration for user attention, as well as publishers who produce engaging content. This system will function based on browser-level data that illustrates user volume and typical extent of engagement. 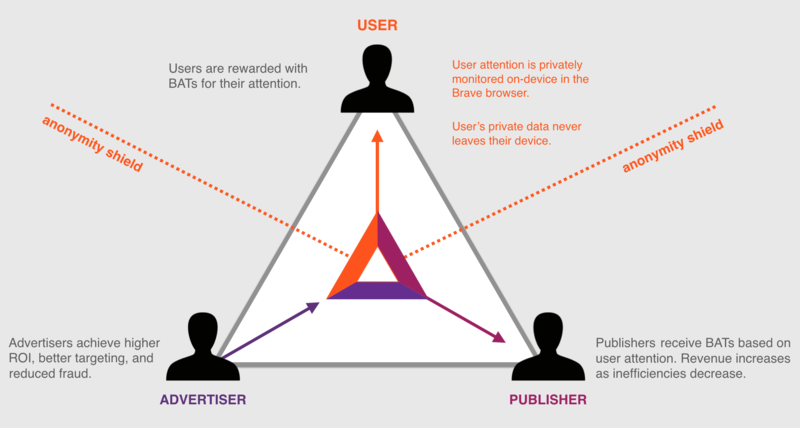 Only users who have opted to participate in the BAT program will be exposed to advertising and will have their advertising interests monitored by Brave’s Basic Attention Metrics (BAM) system. Brave will then implement AI to track and convey advertising to users. However, unlike other systems, the volume of advertising to which a user is exposed will still be minimized. Furthermore, all data will be encrypted and stored on their device, therefore ensuring that their privacy is still secure. And the advertising shown will only be applied to active windows, at a limited rate. And users will have more attention available to focus on the advertising content. And, the decentralized nature of the network, will mean that major monolith’s that currently control the vast majority of advertising proceeds and traffic, such as Google and social media sites, will be removed thereby decreasing excess and irrelevant content that distracts user attention. 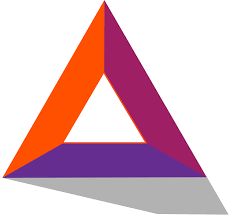 The Basic Attention Token is an ERC20 Ethereum-based token that Brave ultimately plans to render functional both within the Brave browser network, as well as on other browsers. It is meant to operate as a means of exchange between users, advertisers and publishers within the framework of the Brave platform. The smart-contract nature of this system will ensure transparency of all transactions and agreements, thereby allowing for the prevention of Ad fraud. All information is also encrypted and recorded on the ledger system, effectively increasing the level of security for all transactions. Initially the Basic Attention Token payments will only be made by advertisers to publishers with transactions being conducted through the Brave Ledger platform. All payments issued on this system will be carried out anonymously, with payments based on the success-rate of the published advertisements. This is currently based on a minimum view rate of 25 seconds per page. Once users begin to receive token rewards, they will become active participants in the advertising space, rather than passive consumers. Gifting as well as other forms of content. When the BAT token is more widely accepted, Brave hopes that BAT will also become an accepted exchange commodity for digital goods and on other application platforms. As of 24 January 2018, Brave had over 2,000 authenticated sites, as well as approximately 6,000 YouTube content creators registered on their platform. The Brave browser is currently live, with the mobile app currently having exceeded one million downloads.